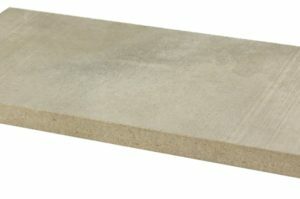 Cement boards consist of a mix of cement and reinforcing fibres, and these can either be treated wood flakes or a cellulose fibre plant extract. Cement particle boards contain the wood flakes as reinforcement, and as such have a high load-bearing capacity. 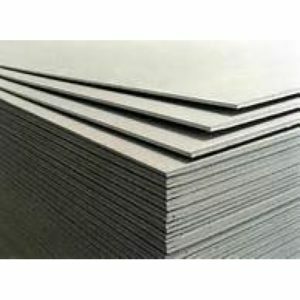 Strength wise, it also performs better than timber and plasterboard panel products, and can add impact resistance and strength to a wall surface, making it ideal for use with floors, ceilings, and wall partitioning. Additionally, the mix of cement and wood means that it offers sound resistance that can be a useful addition to its other properties. Cement particle board can be used in a shower-room or bathroom setting as it is very good at resisting moisture absorption and also protects against insect and fungal attack, including mildew. Even when adversely affected by water, it has better drying properties than other types of building boards, for example plasterboard. It has a high level of fire resistance and can be fabricated in such a way that it is suitable for curved surfaces. With all these benefits as well as a long life span, it will undoubtedly enhance the quality of your building projects. All our cement particle boards are available to order online from our website, and you can collect direct from us or use our personalised delivery services. We are a local family firm that pride ourselves on both quality products and excellent customer service that are guaranteed to enhance your project.